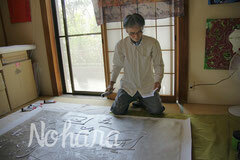 Mr. Nohara painted six large works of art on canvas. These works will be proposed to museums and large galleries. 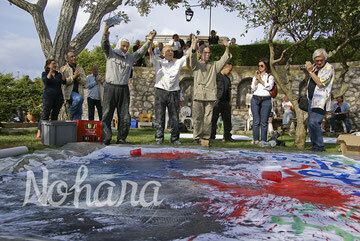 Mr. Nohara made a performance in collaboration with the founding member of Gutai, Shozo Shimamoto, and the early member Yasuo Sumi.